Even though I came up with "striperfection", for some reason whenever I see the word I want to say "stripperfection"... which gives an entirely different conotation. Love the pattern on the Cobalt Bloom. Your CC socks are sisters to mine - love them! 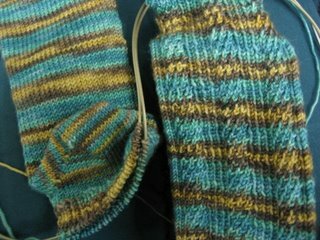 And your bloom socks are fantasticly beautiful! 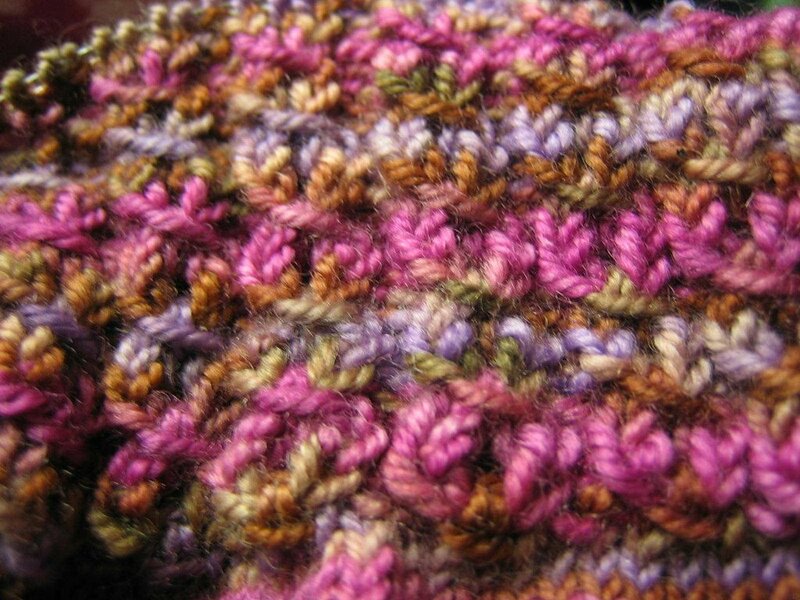 I love that yarnover cable pattern! Did it come from a pattern book? Oh, Siri - Jaywalkers are known to cause a great deal of woe for some - three of the four here at WeHeartYarn had muchas problemas with them. 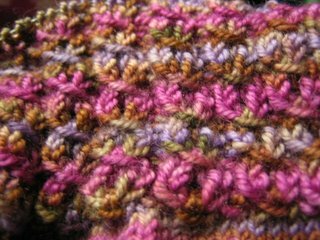 With the help of NK, I modified the pattern to include less stitches (60 - 64 around total) which definitely helped. 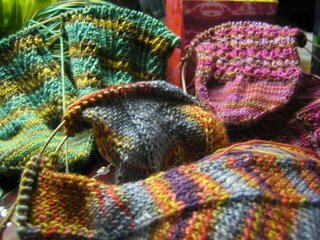 I think the main thing about this pattern is the confluence of foot size/shape, and gauge, and, luckily, mine seemed to work. 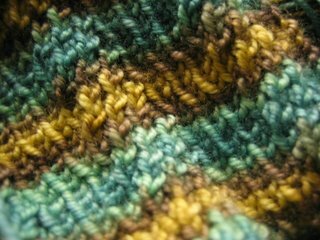 Stacey, the pattern is the Yarn Over Cable pattern from Sensational Knitted Socks - it's a 4-row repeat that is easily memorized. I love all of them! I'm just trying to finish up my own pair of yarn-over cable socks, for the second time. 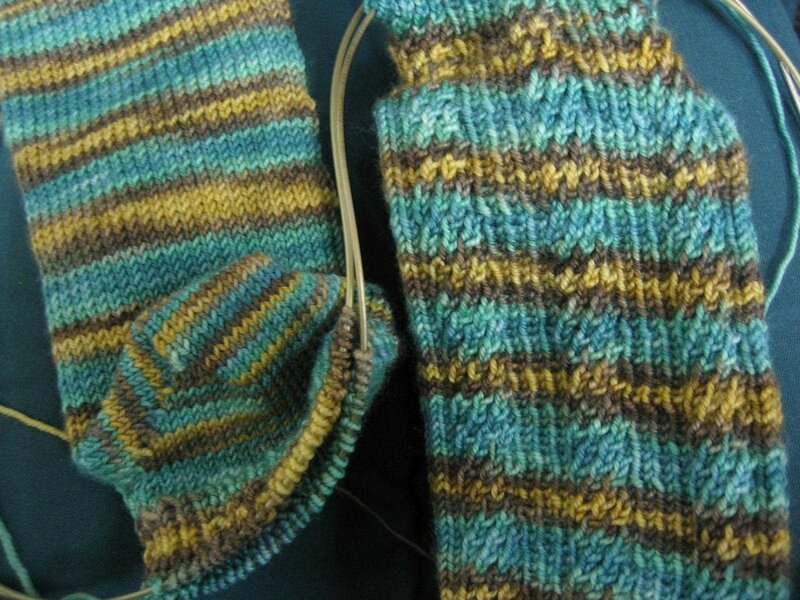 Shannon, I also want to do mine toe-up with a short row heel. 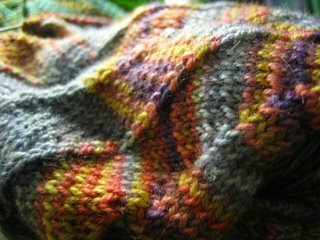 Where did you begin the instep part of the pattern? Where did you add the 65th stitch? Did you reverse the stitch pattern or use it as is? Sorry for all the questions, but I can't post at the kal site. cedar siding Tips for building or remodeling your dream home.